Valentines Day is days away. It is a lovely holiday causing everyone to focus on love for one another. I love the sentiment, and all the decor. I also love the cards and of course the candy, chocolate being the all time favorite of mine. There is one love though that is the finest of all. Love that has no comparison. That is loving the Lord our God. He loved us first, and when we love Him back, it is the greatest love of all. Think on this as you celebrate this year. 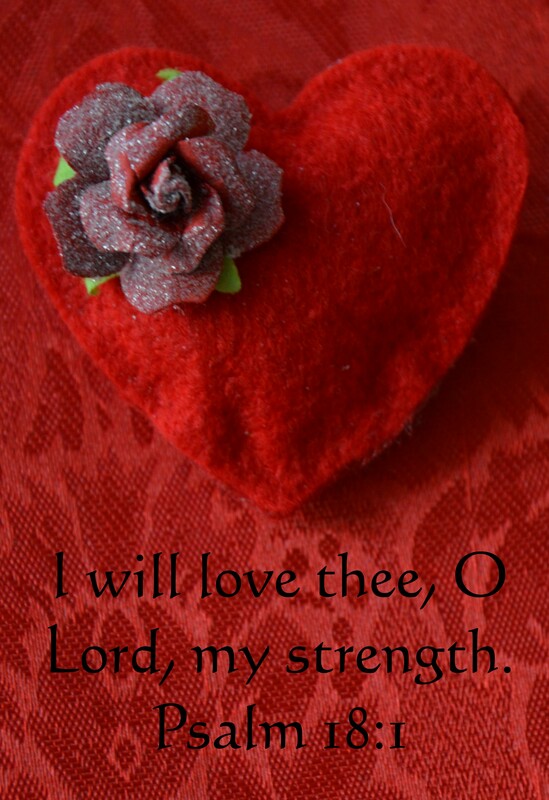 The Lord is so worthy of our honor and love on this Love Day. The Lord appeared to the disciples on several occasions after He had risen from the dead. This was the third time that they saw Him. They were fishing and not catching anything, when they saw the Lord standing on the shore. He told them to cast their net on the right side of the ship and they would find fish. They found so many fish they could hardly drag the nets ashore. Jesus had a fire going and said to them, “Come and Dine”. They were amazed. After dinner he said to Peter “Do you love me? Peter said, “Yes Lord I love you. Jesus said “Feed my lambs”. “The Lord said unto Peter the a second time, “Peter do you love me? Peter said “Yes Lord you know I love you.” Jesus said, “Feed my sheep.” A third time Jesus said to Peter, “Do you love me”? Peter was now upset and said “Lord you know all things, you know I love you.”Jesus said,”Feed my sheep.”Clearly from this conversation that Peter had with the Lord, we can see that loving Him means serving Him, and working within the flock. There are adult sheep, and baby lambs. There are many who have not yet acknowledged that they are a sheep. They all need to be fed at every level, at all times. That is why I write this blog, so that His word which is life to us goes out. We all should be sharing the Lord and encouraging those around us. Don’t miss those opportunities that come your way. A lamb may not grow to adulthood without proper feeding. Don’t miss the chance to share His love with an adult sheep. They may be floundering and need His touch. Many don’t know him and are not yet in the flock. We are His hands extended. We are His servants.